A new analysis shows that litigation claims for medical negligence are on the rise in the UK and continue to do so at an alarming rate. 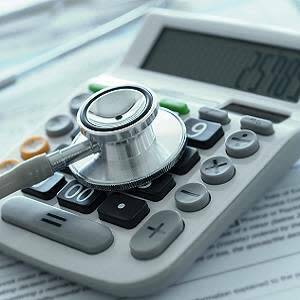 Notably, the cost of claims has increased at a faster clip with annual spending rising from £400 million in 2006 to £1.6 billion in 2016, according to the report published in the journal Clinical Radiology. In the report, Dr. Oliver Hulson, of the Department of Radiology, St James University Hospital, Leeds, UK, analysed data provided by the now defunct National Health Service Litigation Authority (NHSLA) for settled claims against radiology between 1995 and 2014. Dr. Hulson's analysis aimed to establish common and/or reoccurring themes or trends, and use these established learning points to reduce the possibility of such claims in the future. Over the years studied, 791 settled claims were recorded by the NHSLA where radiology was implicated as the primary speciality at fault. Alleged missed or delayed diagnosis of a tumour accounted for almost a third of claims. Eight percent of claims related to interventional radiology, with the numbers too small to draw any perceived trends. Settled claims in this cohort totalled £4.3 million, with a mean claim of £63,000. Almost 10 percent of claims were settled due to an injury whilst in the radiology department, with almost a third of these due to a fall in the department, according to the report. "'To err is human', but by analysing NHSLA claims related to radiology, thematic analysis and discussion regarding these cases can be highlighted, and hopefully, to mitigate these risks and thus reduce liability in the future," the author writes. The possibility of litigation is at the back of most doctors' minds, and radiologists are no exception. Numerous studies have shown that the potential for litigation is one of the biggest stressors facing medical professionals. Psychology studies have compared the stress of being involved in a medical malpractice case to that of victims involved in a major disaster. Compared to other clinical specialities, the report says, radiology sits behind surgery, medicine, obstetrics and gynaecology, and emergency medicine in both number of claims and claim value. The Diagnostic Imaging Dataset provided annually by NHS England states that in 2016-2017 just over 42 million radiology examinations took place, an increase of 3 percent on the year before. This roughly equates to one successful litigation claim for approximately every 500,000 studies performed. 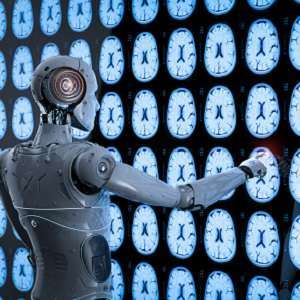 For instance, with both teaching and district general hospitals struggling to tackle a seemingly endless reporting backlog, outsourcing and teleradiology companies have gone some way to mitigate waiting times for radiology reports. Checklist or template reporting, whilst not been shown to necessarily improve reporting accuracy or reduce diagnostic errors, has been shown to improve clarity and communication of important findings: another potential source of error. It's important that when sending an email informing the referrer of significant findings or asking the report to be faxed to the general practitioner (GP), the radiologist should insist on a confirmatory reply. 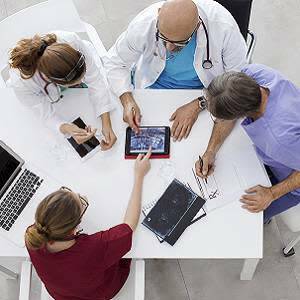 Many hospital information technology (IT) systems have the ability to send alerts to referring teams, and these systems need to be integrated into the reporting workflow and radiology informatics systems (RIS). The Royal College of Radiologists (RCR) have published standards on this which provides useful guidance and advice regarding such processes, according to Dr. Hulson. Regarding the issue of consent, this was implicated in over 10 percent of claims related to interventional radiology. The author explains: "Unfortunately, few further details were forthcoming, but clearly fully informed consent is a prerequisite before any interventional procedure, and for the vast majority of procedures this should be written consent." Although the number of claims was relatively small, and each individual claim of relatively small value, the issue of injury whilst the patient is under our care in the radiology department is a pertinent one, the author stresses. Whilst accidents can occur, he says systems need to be in place to ensure that errors are few and far between. "Hopefully, by employing some of the systems discussed above, one can avoid these common errors occurring, or at least reduce the harm caused if and when they do," Dr. Hulson says. Radiology, medical negligence, litigation A new analysis shows that litigation claims for medical negligence are on the rise in the UK and continue to do so at an alarming rate. Notably, the cost of claims has increased at a faster clip with annual spending rising from £400 million in 2006 to £1.